Dr. Sharpe’s areas of specialization are comparative politics and international relations and his research interests include looking comparatively at globalization, the politics of international migration, immigrant political incorporation, and political transnationalism. His current research analyzes the factors that propel migrations of postcolonial citizen and coethnic immigrants and what limits or facilitates their political incorporation and political transnationalism in liberal democratic host societies. Dr. Sharpe's book Postcolonial Citizens and Ethnic Migration: the Netherlands and Japan in the Age of Globalization (Palgrave Macmillan, 2014) cross-regionally examines the role of legal citizenship and ethnicity in migration. At York College, Dr. Sharpe teaches classes that include comparative politics, international relations, US politics and government, American foreign policy, comparative politics of migration, Caribbean Politics, Asian Politics, and African Politics. Michael Sharpe. Postcolonial Citizens and Ethnic Migration: The Netherlands and Japan in the Age of Globalization. Houndsmills, Basingstoke: Palgrave Macmillan, 2014. .
Michael Sharpe. "What Can the United States and Japan Learn From Each Other’s Immigration Policies." Expert Voices The Maureen and Mike Mansfield Foundation. on Japan: Security, Economic, and Foreign Policy Recommendations. U.S. Japan Network for the Future Cohort IV.Arthur Alexander, ed.. June, 2018: 139-155. Michael Sharpe. "What Can the United States Learn from Japan’s Immigration Policy." Policy Guidance From the U.S.-Japan Network for the Future Cohort IV. The Maureen and Mike Mansfield Foundation.. June, 2018: 21-22. Hollifield, James F. and Michael O. Sharpe.. "Japan as an Emerging Migration State." International Relations of the Asia-Pacific. Volume 17, Issue 3 September, 2017: . Michael Sharpe. "What Does Blood Membership Mean in Political Terms? : The Political Incorporation of Latin American Nikkeijin (Japanese Descendants) (LAN) in Japan 1990-2004." Japanese Journal of Political Science. 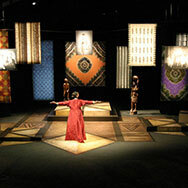 Volume 12, Issue 1 February 2011: . Michael Sharpe. "Globalization and Migration: Post-Colonial Dutch Antillean and Aruban Immigrant Political Incorporation in the Netherlands." Dialetical Anthropology. Volume 29, Issue 3-4 September 2005: . Michael Sharpe. "When Ethnic Returnees are Defacto Guestworkers: What does the introduction of Japanese Nikkeijin (Japanese descendants) (LAN) suggest for Japan’s definition of nationality, citizenship and immigration policy?." Policy and Society. Volume 29, Issue 4 November 2010: . Michael Sharpe. "“Gaming the System: Trump’s Executive Orders on Immigration”." E-Connect. Volume 23, June, 2017: . Michael Sharpe. "Affirmative Action in Crisis in the United States?." Connect. Volume 13, Number 1 April, 2009: . Michael Sharpe. "One World Without Racism: Equality and Diversity, Third International Conference Against Racial Discrimination and Racism: Towards a World Conference on Racism in 2001." Connect. Volume 3, Number 1 Jan. - March, 1999: . Michael Sharpe. "Hate Crimes in the United States." Connect. Volume 4 Spring, 2000: . Michael Sharpe. "Race, Color, and Nationalism in Aruban and Curaçaoan Political Identities." in Dutch Racism. 2014: . Michael Sharpe. "Dutch Empire." Africa and the Americas: Culture, Politics, and History. 2008: . Michael Sharpe. "Curaçaoan 1969 Uprising." The International Encyclopedia of Revolution and Protest: 1500 to the Present. (Peer Reviewed) 2009: . Marilyn Gittell and Bill McKinney with Michael Sharpe, et al.. "The Politics of Affirmative Action: Access to Higher Education in the States." Howard Samuels Center Report. January 2010: . "Martin Guevara Urbina’s Twenty-first Century Dynamics of Multiculturalism: Beyond Post-Racial America, Equality, Diversity and Inclusion: An International Journal" Volume 34, Issue 8, 2015: . "Marginalization of Japanese Peruvian Immigrants", A review of Dr. Robert Steven Moorhead's doctoral dissertation entitled, "You Can’t Go Home Again: Japanese Peruvian Immigrants and the Struggle for Integration and Identity in the Japanese Homeland"", Dissertation Reviews" February 6, 2012: . "“Towards A Casteless Society” in Connect, Volume 3, Number 2" April-June 1999: .
" Presented Paper “Remigration Policies and the “Right of Return”: The Netherlands and Japan”, " August 31, 2018: American Political Science Association Annual Meeting,Boston, MA,.
" Invited Panelist, Mansfield Foundation, U.S.-Japan Network for the Future,Invited remarks based on piece What Can the United States Learn Japan’s Immigration Policy” on panel “Post-Industrial Challenges for Japan” " June 6, 2018: Capitol Hill Symposium, Washington, DC.
" Invited Guest Speaker, "An Informal Talk with Dr. Michael Sharpe about the UN Affiliated NGO IMADR, the international NGO Sector, and Career Paths" " April 28, 2018: Columbia University Executive Master of Public Administration Program (EMPA), Weatherhead East Asia Institute, Columbia University, New York, NY.
" Invited Guest Speaker, presented lecture on my book Postcolonial Citizens and Ethnic Migration: The Netherlands and Japan in the Age of Globalization " November 29, 2017: Professor Saskia Sassen Robert S. Lynd Professor of Sociology, Global Urbanism (SOCI W3324) undergraduate class of 400 students, Columbia University, New York, NY.
" Keynote Speaker, presented lecture entitled “US Foreign Policy in the Era of Trump " November 20, 2017: University of Aruba, Oranjestad, Aruba (Dutch Caribbean),.
" Invited Guest Speaker, Presented Talk, “The Multiple Dimensions of International Migration in a Globalized World” " July 5, 2017: Graduate Seminar on Social Stratification, Keio University, Tokyo, Japan.
" Keynote Speaker, Presented Talk, “The Importance of Ethical Research at CUNY and other Public Universities ” " April 6, 2017: 10th Annual Graduate Research Symposium, City College, City University of New York,.
" Postcolonial Sovereignty Games? : The Dissolution of the Netherlands Antilles in 2010 and Engagement of New Dutch Caribbean Political Entities and Relations”. " February 25, 2017: International Studies Association Annual Convention, Baltimore, Maryland.
" Japan's Foreign Policy and Japanese Diaspora: Why does Japan continue to pursue diasporic connections?”, " February 24, 2017: International Studies Association Convention, Baltimore, Maryland..
" Invited Speaker, Presented Talk, “Selecting by Ethnicity and Unemployment in the Liberal Democratic State: Remigration Policies in The Netherlands and Japan” " October 5, 2016: Comparative Politics Workshop, CUNY Graduate Center, New York, New York.
" Free Movement and the EU Overseas Territories: The Case of the Dutch Kingdom” " September 3, 2016: American Political Science Association Annual Meeting, Philadelphia, PA.
" Selecting by Ethnicity: Remigration Politices in the Netherlands and Japan" " September 1, 2016: American Political Science Association Annual Meeting, Philadelphia, PA..
" Invited Guest Speaker, Presented Talk, “International Migration: The Multiple Dimensions of Migration in a Globalized World” " July 21, 2016: Masterclass on Global Migration and Immigration Policies, Library and Research Services, University of Curacao, July 21, 2016.
" Invited Guest Speaker, Presented Talk, “Calling the Nation Home and Contesting National Membership: The Political Incorporation of Latin American Nikkeijin in Japan 1990-2008” " May 20, 2016: “The Political Economy of Migration”, Third Global Japan Forum, Terasaki Center for Japanese Studies, UCLA, Los Angeles, CA..
" Invited Guest Speaker, Presented Talk, “Inheriting the Liberal State: Postcolonial Citizen and Ethnic Migration from Latin America to the Netherlands and Japan” " March 31, 2016: Latin American Studies Co-sponsored with Asian Studies and the Institute for Global Interdisciplinary Studies, Villanova University, Villanova, PA..
" “Using Migration Strategically: Does Allowing Freedom of Movement Strengthen or Undermine the Legitimacy of the Dutch Kingdom?” " March 17, 2016: International Studies Association Annual Convention, Atlanta, Georgia.
" Panelist on Panel Honoring Professor James Hollifield for the International Studies Association Ethnicity, Nationalism, and Migration (ENMISA) Section Distinguished Scholar Award, " March 17, 2016: International Studies Association Annual Convention, Atlanta, Georgia.
" Invited Guest Speaker, Presented talk, “Pay to Go Schemes: The Liberal Democratic State in Question” " July 8, 2015: Graduate Seminar on Stratification, Inequality, and International Migration, Sophia University, Tokyo, Japan.
" Keynote Speaker presented lecture "International Migration as a Phenomenon: The Movement of People in a Globalized World" " June 15, 2015: University of Aruba, Oranjestad, Aruba (Dutch Caribbean).
" Invited Panelist Presented paper “Calling the Nation Back Home and Contesting Membership: The Political Incorporation of Latin American Nikkeijin (Japanese Descendants) in Japan” " March 3-4, 2015: Waiting for the Rising Sun: Japan’s New Nationalism and Beyond”, Sun and Star Symposium, Southern Methodist University, Dallas, Texas.
" “Freedom of Movement/Residence? : The Challenges of Native Dutch Migration to the Former Netherlands Antilles” " February 18, 2015: International Studies Association Annual Convention, New Orleans, Louisiana.
" Panel Discussant Citizenship, Migration, and State Policies in the Global South and East Asia” " February 18, 2015: International Studies Association Annual Convention, New Orleans, Louisiana.
" Invited Guest Speaker, presented book talk on Postcolonial Citizens and Ethnic Migration: The Netherlands and Japan in the Age of Globalization " November 21, 2014: Institute of Social Studies, The Hague, The Netherlands..
" Invited Guest Speaker, presented talk entitled “Postcolonial Citizens and Ethnic Migration: A Comparative Look at the Netherlands in the Age of Globalization” " November 6, 2014: the Queen Wilhelmina Program for Dutch Studies, Department of Germanic Languages and Department of History, Columbia University, New York, New York.
" Remigration Policies in Question: What Do Policies to Repatriate Guestworkers and their Descendants Tell Us About the Liberal Democratic State? " October 23, 2014: Department of Sociology, Harvard University, Cambridge, Massachusetts.
" “Remigration Policies in Comparative Perspective: What Do Policies to Repatriate Guestworkers and their Descendants Tell Us About the Liberal Democratic State?” " August 31, 2014: American Political Science Association Annual Meeting, Washington, D.C.,.
" Invited Guest Speaker and Panelist “Postcolonial and Ethnic Migrant Youth in Crisis? A Comparison of the Netherlands and Japan in the Age of Globalization”, " April 17, 2014: , “Orphans of Empire: The Global Youth Crisis Unveiled Conference”, William Paterson University, Wayne, New Jersey.
" “Making Nations Within Dutch Sovereignty: The End of the Netherlands Antilles in 2010 and Construction of New Dutch Caribbean Political Entities and Relations”, " March 27, 2014: International Studies Association Annual Convention, Toronto, Canada.
" “Inheriting the State? What Does the Political Incorporation of Postcolonial Citizens and Ethnic Return Migrants Tell Us About the Liberal Democratic State?” " March 26, 2014: International Studies Association Annual Convention, Toronto, Canada.
" Invited Guest Speaker -Presented Talk on Aspect of My Forthcoming Book " July 22, 2013: International Area Studies Special Lecture, University of Tsukuba, Tsukuba, Japan.
" Invited Guest Speaker - Presented Talk On Aspect of My Forthcoming Book " July 10, 2013: Graduate Seminar on Stratification, Inequality, and International Migration, Sophia University, Tokyo, Japan.
" Remigration Policies in Comparative Perspective: What Do Policies to Repatriate Guestworkers and their Descendants Tell Us About the Liberal Democratic State " April 4, 2013: International Studies Association Annual Convention, San Francisco, CA.
" Remigration Policies in Comparative Perspective: What Do Policies to Repatriate Guestworkers and their Descendants Tell Us About the Liberal Democratic State " August 30, 2012 (Paper accepted but meeting cancelled due to Hurricane Isaac). : American Political Science Association Annual Meeting, New Orleans, LA.
" What Does Post-Colonial Dutch Citizenship Mean in Political Terms? : The Political Incorporation of Dutch Antilleans and Arubans in the Netherlands 1990-2004 " April 2, 2012: International Studies Association Annual Convention, San Diego, CA.
" Invited Guest Speaker - Presented Talk entitled “Is Blood Thicker than Water: The Political Incorporation of Latin American Nikkiejin (Japanese Descendants) in Japan" " September 29, 2011: Latin American Studies Program Co-sponsored with Political Science Department and Global Interdisciplinary Studies Program, Villanova University, Villanova, Pennsylania.
" Interrogating Ethnic Migration in Japan: The 2009 Kikoku Shien Jigyo (Help Return Program) for Latin American Nikkeijin (Blood Descendants) " March 19, 2011: International Studies Association Annual Convention, Montreal, Canada.
" Death of a State: The Demise of the Netherlands Antilles in 2010: Shifting Political Authority of a Post-Colonial Dependent Territory in Dutch Liberal Democratic and Global Context " March 18, 2011: International Studies Association Annual Convention, Montreal, Canada.
" Panel Chair "Remittances, Immigration, and Labor Flows" " March 17, 2011: International Studies Association Annual Convention, Montreal, Canada.
" Invited Panelist - Presented Talk on "Affirmative Action in Crisis in the US? : Affirmative Action History and Current State" " February 24, 2011: Increasing Access to Higher Education: Barriers and Strategies, Teachers College/Columbia University, New York, NY.
" Invited Guest Speaker - Presented Talk on “Racial Discrimination in the US” " July 2, 2010: Undergraduate and Graduate Students, Osaka Jogakuin College, Osaka, Japan.
" Invited Panelist - The History of Black Economic Empowerment (Presented with Certificate of Appreciation) " March 11, 2010: U.S. Attorney's Office, Newark, New Jersey.
" Invited Guest Speaker - Presented Talk about Research in Japan " February 12, 2010: Japan Local Government Center (CLAIR), New York, NY.
" Presented “The Limits of Political Transnationalism: A Look from the Netherlands and Japan" " January 14-15, 2010: Research Workshop on Diaspora and Citizenship: European and Asian Perspectives, University of Manchester, United Kingdom (Accommodation Provided).
" Political Transnationalism in Question: What Limits the Political Transnationalism of “Transnational” Groups in Liberal Democracies? " September 3, 2009: American Political Science Association Annual Meeting, Toronto, Canada.
" Invited Guest Speaker - Presented Talk on Globalization and Comparative Research " July 23, 2009: Graduate Student Class/ Institute of Comparative Culture, Sophia University, Tokyo, Japan.
" What Does Blood Membership Mean in Political Terms?” – The Case of Latin American Nikkeijin (Japanese Descendants) in Japan " June 21, 2009: Thirteenth Annual Meeting of the Asian Studies Conference Japan (ASCJ),Sophia University, Tokyo, Japan.
" Panelist - Socialism Redux " May 5, 2009: York College/CUNY, Jamaica, NY.
" Calling the Nation Back Home But Not to Stay: The Political Incorporation of Latin American Nikkeijin (Japanese Descendants) in Japan " February 17, 2009: International Studies Association Annual Convention, New York, NY.
" The State and Post-Colonial and Ethnic Migration: Does Globalization Produce Migrations? " February 15, 2009: International Studies Association Annual Convention, New York, NY.
" Political Transnationalism in Question: What Limits the Political Transnationalism of “Transnational” Groups in Liberal Democracies? " June 23 - July 4, 2008: National Humanities Center, Some Institutes for Advanced Study (SIAS) Summer Institute on Citizenship and Migration, Stanford University, Palo Alto, California,.
" Panelist - Presented Calling the Nation Back Home and Contesting Membership: The Political Incorporation of Latin American Nikkeijin (Japanese Descendants) in Japan " January 31 - February 1, 2008: Japan’s New Nationalism: How Japan’s National Identity is Changing at Home and Abroad” Conference, Southern Methodist University, Dallas, Texas.
" Globalization and Migration: Post-Colonial Dutch Antillean and Aruban Immigrant Political Incorporation in the Netherlands " June 25 - July 7, 2007: National Humanities Center, Some Institutes for Advanced Study (SIAS) Summer Institute on Citizenship and Migration, Wissenschaftskolleg zu Berlin, Germany.
" Interviewed by Judith Janssen on Radio Nederland Wereldomroep (Dutch Radio) about research on Dutch Antillean and Aruban Political Incorporation in the Netherlands " February 26, 2007: Broadcast on radio and internet in the Netherlands and around the world.
" Globalization and the State: A Comparative Study of the Symbolic Politics of Post-Colonial Citizen and Ethnic Returnee Migration " January 12, 2007: PhD Brain Lab, Institute for Migration and Ethnic Studies, Universiteit van Amsterdam, The Netherlands.
" Globalization and the Symbolic Politics of Post-Colonial Citizen and Ethnic Returnee Migration " November 17, 2006: Japan Study Group - CUNY Graduate Center, New York, NY.
" Globalization and the State: A Comparative Study of the Politics of Post-Colonial Citizen and Ethnic Returnee Migration " July 15-16, 2006: International Conference on Comparative Social Science: Probing the Frontiers of Comparative Inquiry, Sophia University, Tokyo, Japan,.
" Globalization and Migration: A Comparative Study of the Politics of Post-Colonial Citizen and Ethnic Returnee Migration " June 19-23, 2006: “Fourth Annual Summer Institute on International Migration”, Social Science Research Council and Center for Comparative Immigration Studies, University of California, San Diego,CA.
" A Preliminary Qualitative Study of the Political Incorporation of Dutch Caribbean Immigrants in the United States and the Netherlands, “” " December 2004: Trading Cultures: Migration and Multiculturalism in Contemporary Europe Graduate Student Conference, Rutgers University, New Brunswick, NJ.
" Globalization and Migration: A Qualitative Study of the Political Incorporation of Dutch Caribbean Immigrants in the Netherlands and the United States” " Summer 2004: accepted for “Interrogating the African Diaspora”, Florida International University (Declined).
" Globalization and Migration: The Political Incorporation of Immigrants in Japan " February 2004: Thirteenth Annual Graduate Student Conference on East Asia, Columbia University, New York, NY. Mansfield Foundation U.S.-Japan Network for the Future Program Scholarsponsored by the Maureen and Mike Mansfield Foundation and the Japan Foundation Center for Global Partnership: 2016-2018. Adjunct Associate Research Scholar, Weatherhead East Asia Institute, Columbia University, New York, New York: fall-2018-spring 2019. Adjunct Associate Research Scholar, Weatherhead East Asia Institute, Columbia University, New York, New York: fall 2017-spring 2018. Visiting Fellow, Koninklijk Instituut voor Taal-, Land- en Volkenkunde (KITLV) (Royal Netherlands Institute of Southeast Asian and Caribbean Studies) Leiden, the Netherlands. (In Kind affiliation, library access, and PC account while doing research in the Netherlands. ): July 29-August 19, 2018. Visiting Researcher, Department of Political Science, Faculty of Social and Behavioral Sciences,University of Amsterdam, Amsterdam, The Netherlands. (In Kind affiliation, library access, and PC account while doing research in the Netherlands. ): July 29, 2018-August 19, 2018. Visiting Scholar, Department of Political Science, Faculty of Law, Keio University, Mita Campus, Tokyo, Japan, (In Kind affiliation, office space, library access , and borrowing privilegeswhile doing research in Japan). : December 27, 2017-February 28, 2018. Visiting Professor, “Master Class on Politics and Government in the US”, University of Aruba, Orajenstad, Aruba (Dutch Caribbean): November 14-16, 2017. Visiting Professor, “International Migration Seminar”, University of Aruba, Orajenstad, Aruba (Dutch Caribbean): June 11-June 20, 2015. CUNY Wide Feliks Gross Endowment Award for Outstanding Scholarship (CUNY's Highest Award for Assistant Professors in Recognition of their Scholarship): May 7, 2015. 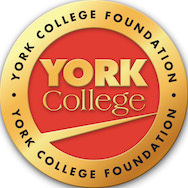 York College Presidential Award for Outstanding Scholarship: September 18, 2014. Marquis Who's Who in America 2014 (68th Edition): October 2013. Dean's Award for Enhancing Student Research: April 19, 2012. Visiting Fellow, Koninklijk Instituut voor Taal-, Land- en Volkenkunde (KITLV) (Royal Netherlands Institute of Southeast Asian and Caribbean Studies), Leiden, The Netherlands: January 2012. Marquis Who's Who in America 2011 (65th Edition): October 2010. CUNY Faculty Publication Fellow (3 hours course release time and bimonthly meetings with other fellows to discuss works in progress towards publication): spring 2010. Visiting Fellow, Institute of Comparative Culture, Sophia University, Tokyo, Japan: June 22 - August 13, 2009. American Political Science Association Small Research Award (Name,York College/CUNY affiliation and project title published in PS: Political Science, July 2009, Vol. 42, 3, p. 608. ): 2009-2010. Fellow, National Humanities Center, Some Institutes for Advanced Study (SIAS) Summer Institute on Citizenship and Migration, Wissenschaftskolleg zu Berlin, Germany and Stanford University, California: 2007- 2008. Athena Pollis Dissertation Year Fellowship in Human Rights ($15,000): 2006-2007. Ford Foundation Research Award ($2,000): 2006-2007. CUNY Graduate Center Dean K. Harrison Fellowship ($1,420): 2006-2007. Marilyn and Irwin Gittell Fellowship ($1,500): 2006-2007. CUNY Tuition Fellowship ($710): 2006-2007. 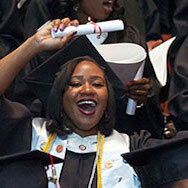 CUNY University Fellowship ($3,050): 2005-2006. CUNY Graduate Center Dean K. Harrison Fellowship ($2,500): 2005-2006. CUNY University Fellowship ($4,150): 2004-2005. CUNY Graduate Center Dean K. Harrison Fellowship ($7,600): 2002-2003. Professional Staff Congress-CUNY Traditional B 48 Grant, “Selecting by Ethnicity and Unemployment in the Liberal Democratic State: Remigration Policies in Japan and the Netherlands”. 2017-2018: $5970.00. International Studies Association, Travel Grant for Participation in the International Studies Association Annual Convention, New Orleans, LA. February 18, 2015: $250. Professional Staff Congress-CUNY Traditional B 45 Grant, “The Political Incorporation of Post Colonial Dutch Antillean and Aruban Dutch Citizens in the Kingdom of The Netherlands”. 2014-2015: $6000.00. PSC-CUNY Traditional B 44 Research Award, Inheriting the State? : The Political Incorporation of Latin American Nikkeijin (Blood Descendants) in Japan. 2013-2014: $5999.52. PSC-CUNY Traditional B 43 Research Award, Inheriting the State? : The Political Incorporation of Latin American Nikkeijin (Blood Descendants) in Japan. 2012-2013: $5999.52. International Studies Association, Travel Grant for Participation in the International Studies Association Annual Convention, San Diego, CA. April 2, 2012: $250. Koninklijk Instituut voor Taal-, Land- en Volkenkunde (KITLV) (Royal Netherlands Institute of Southeast Asian and Caribbean Studies), Leiden, The Netherlands, The Political Incorporation of Dutch Antillean and Aruban Dutch Citizens in the Netherlands. January 2012: In Kind affiliation, library access, and PC account ..
PSC-CUNY Traditional B 42 Research Award, The Political Incorporation of Post Colonial Dutch Antillean and Aruban Dutch Citizens in The Netherlands. 2011-2012: $5319.52. International Studies Association, Travel Grant for Participation in the International Studies Association Annual Convention, Montreal, Canada. March 17-19, 2011: $250. PSC-CUNY 41 Research Award, Implied Membership: What Does Blood Membership Mean in Political Terms?. 2010-2011: $5,821. CUNY Academy for the Humanities and Sciences Stewart Travel Award, The Limits of Political Transnationalism: A Look from the Netherlands and Japan, University of Manchester, United Kingdom. Spring 2010: $500. American Political Science Association Small Research Award, The Political Incorporation of Latin American Nikkeijin (Japanese Descendants) in Japan. 2009-2010: $2,200. Howad Samuels Center, Affirmative Action and Access to Higher Education (3 hours course release $4,500, plus fringe benefits $1,485). Spring 2009: $5,985. PSC-CUNY 40 Research Award, The Political Incorporation of Latin American Nikkeijin (Japanese Descendants) in Japan. 2009-2010: $4,000. Institute of Comparative Culture / Sophia University, Tokyo, Japan, Globalization and Migration: A Comparative Study of the Political Incorporation of Dutch Caribbean Post-Colonial Immigrants in the Netherlands and Nikkeijin Ethnic Returnee Immigrants in Japan. June 22-August 13, 2009: In Kind affiliation, use of space, library access, and PC account. 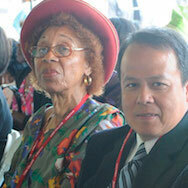 Associate Editor of Wadabagei: A Journal of the Caribbean and its Diaspora: Fall 2008-. Invited Reviewer, Journal of Comparative Politics: 2017. Invited Reviewer, State University of New York Press (SUNY Press): 2017. Invited Reviewer, West Academic Publishing: 2017. Invited Reviewer, Journal of Politics: 2017. Invited Reviewer, Asian Studies, Routledge/Taylor & Francis Group: 2016. Invited Reviewer, Journal of International Migration and Integration: 2015. Invited Reviewer, Westview Press: 2015. Invited Reviewer, Nederlandse Organisatie voor Wetenschappelijk Onderzoek (NWO) (Netherlands Organization for Scientific Research): 2014. Invited Reviewer, Palgrave Macmillan International Relations and Criminology Series: 2012. IMADR North America Member of Board of Directors: 2007-.